One of my family members is hearing-impaired, and the best gift I ever got her was a CapTel captioned phone. That device was a lifesaver, because otherwise we could never have a phone conversation. Buying the phone online was a snap. It’s very reasonably priced at $75, and the customer service people are the best I’ve ever seen anywhere — in my entire life. I called the company at least five different times with a list of questions and the reps patiently answered them all, and also corresponded with me by email. They seemed liked they really cared. The phone works like an ordinary telephone with an adjustable volume control, but if the person can’t hear what’s being said, he or she can read what the caller’s saying on a built-in screen. This capability is enabled using wifi. The conversation is transcribed word for word and the screen scrolls as the caller talks. It works even if you talk for an hour! Best of all – there are no additional charges or monthly fees! 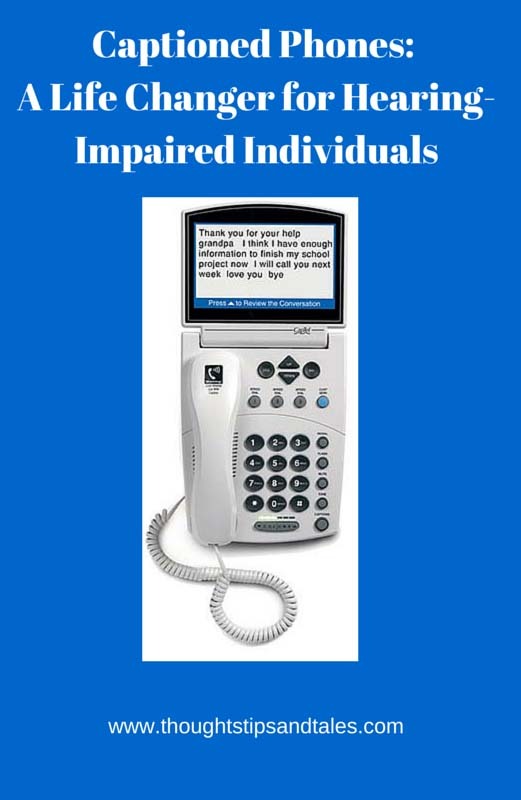 Some states even have state equipment programs to provide hearing-impaired individuals with these devices free of cost. The only downside is that most people speak faster than the captions appear, so the caller needs to wait a few seconds while the CapTel user reads the text to catch up with what was just said — and responds. Once you get the hang of that and expect the pauses in conversation, it’s easy. If you or someone you love has trouble hearing phone calls, check it out. This phone is a blessing! This entry was posted in CapTel phones, captioned phone, devices for hearing impaired, hearing impaired and tagged CapTel phones, captioned phone, devices for hearing impaired, hearing impaired. Bookmark the permalink.